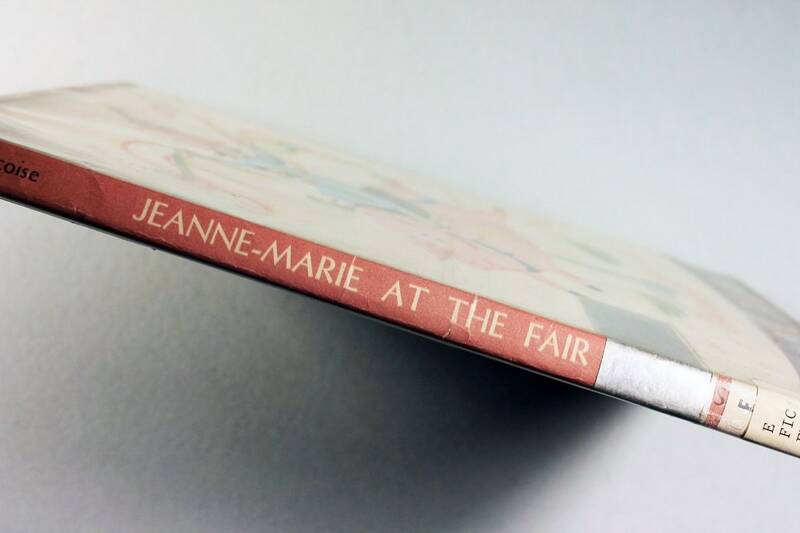 The fifth adventure for Jeanne-Marie. 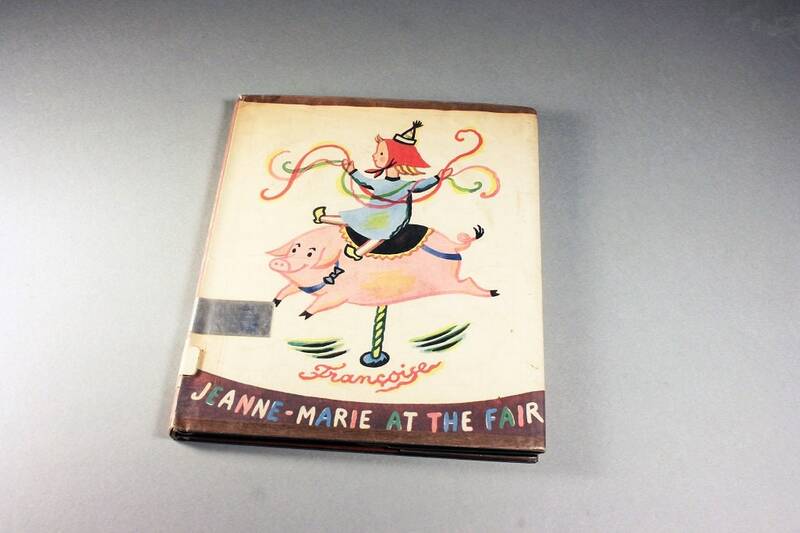 This time the little blonde French girl takes off to the fair. The fair is everything she wants it to be. 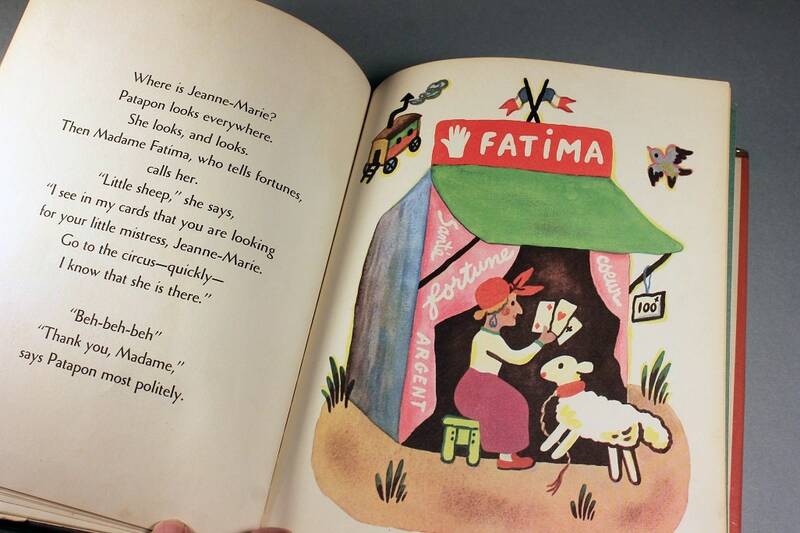 There are games, fortune tellers, rides, cookies, everything, that is, except her little lamb, Patapon. But everywhere that Jeanne-Marie goes, Patapon is sure to follow, and so in time, he arrives and he is not at all impressed with the fair. All ends well for Patapon as Jeanne-Marie and her father tuck him safely in the back of their motor scooter ending a thoroughly entertaining day and a very charming book. 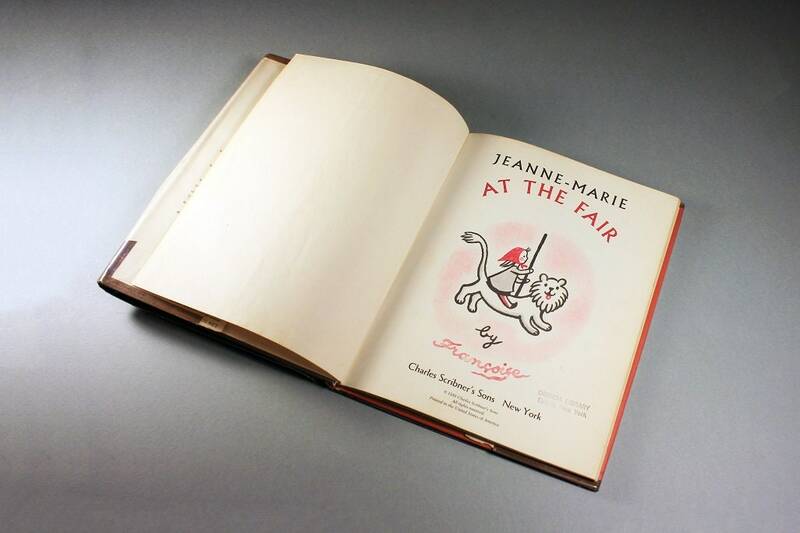 Jeanne-Marie at the Fair by Francoise was first published 1959 in NY by Charles Scribner's Sons, 1st edition measuring 10 1/4" x 8 1/4" with color illustrations by the author. Francois Seignobosc is the author of numerous collectible Jeanne-Marie titles and her artwork is loved around the world. 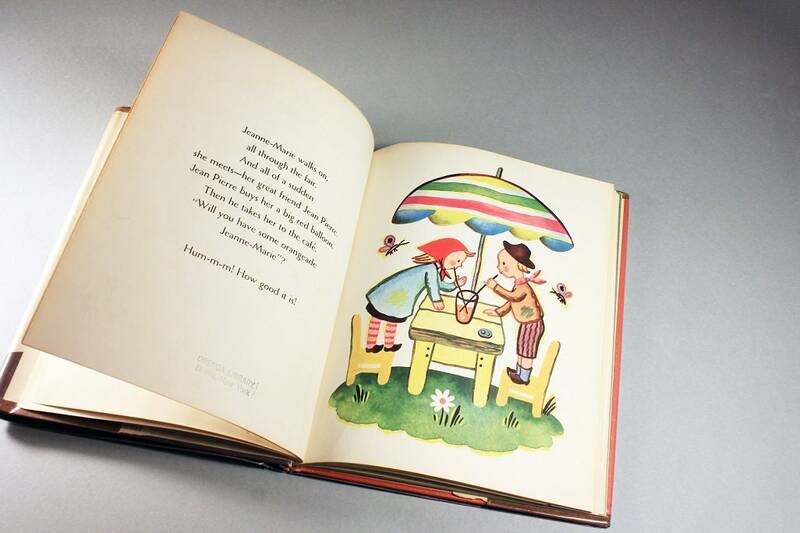 Her children's art has pleased generations of girls and boys since the 1930's. 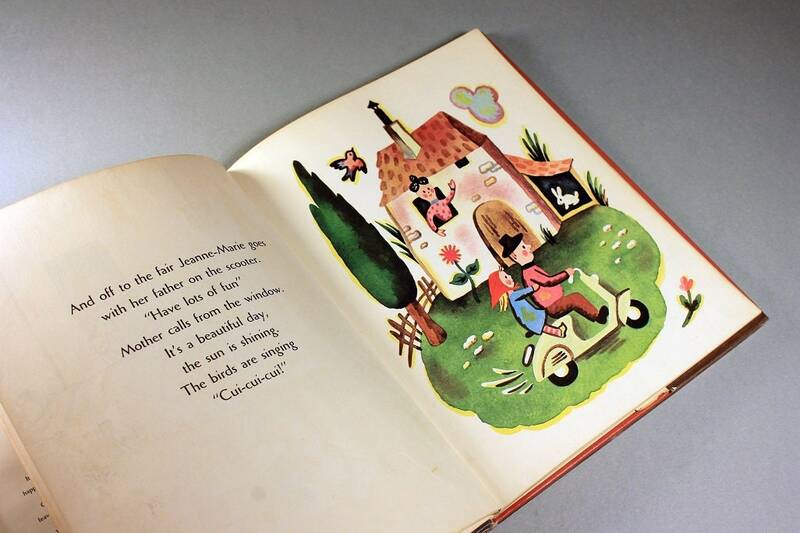 This book is in very good condition. 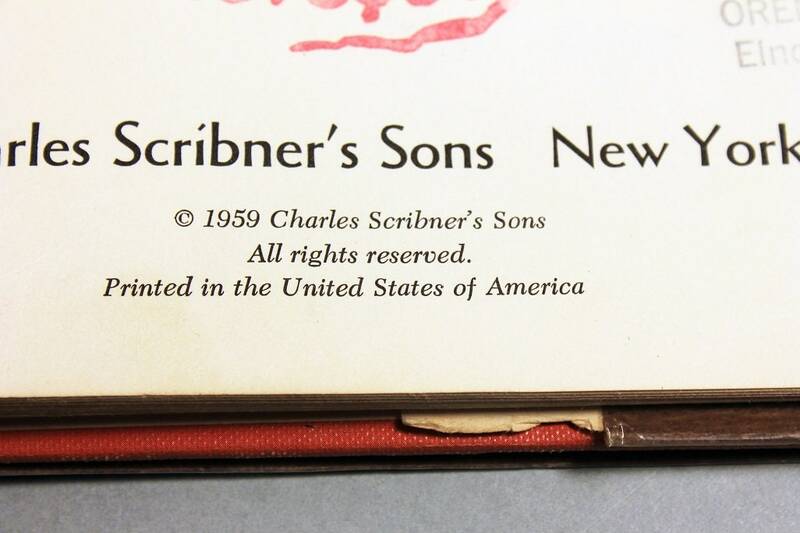 The binding is in perfect condition. 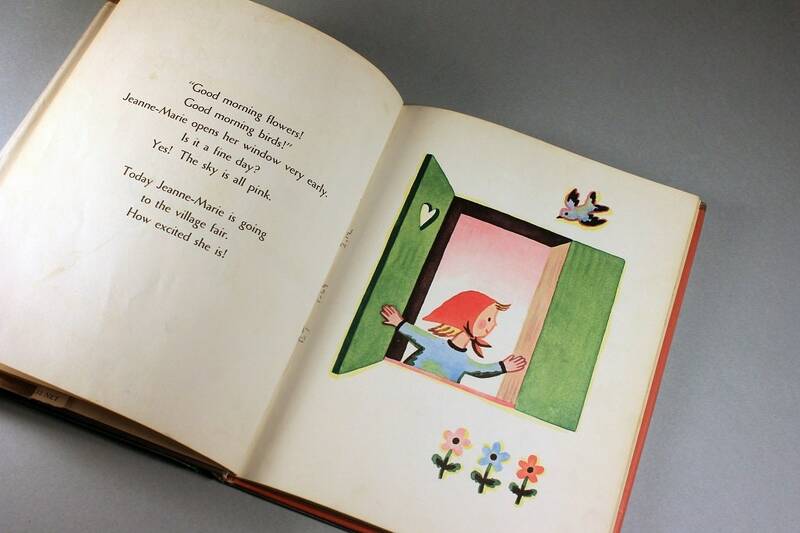 The book has no rips or tears. This is a former library book and as such has it's plastic cover. This has kept the front boards looking like new. The book's pages are yellowed a bit with age. 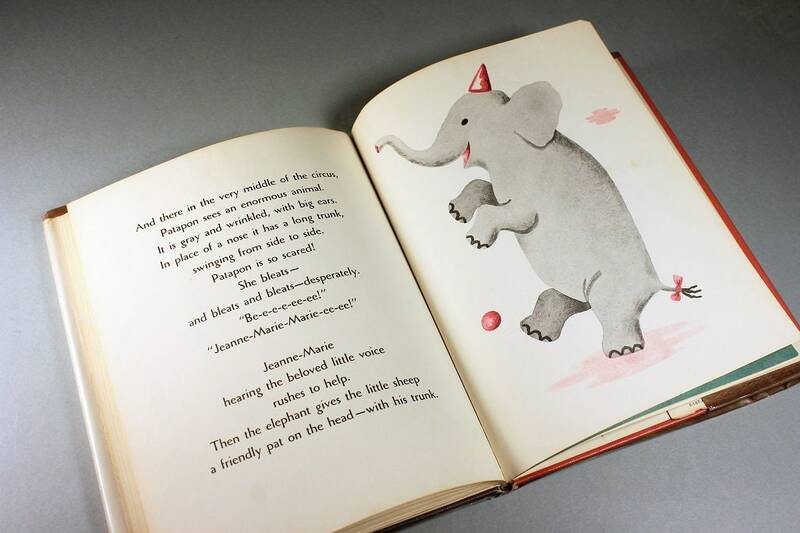 There is a library stamp on the first page and one more on one of the inner pages. On the back, flyleaf is where the library card once was attached but had been removed.